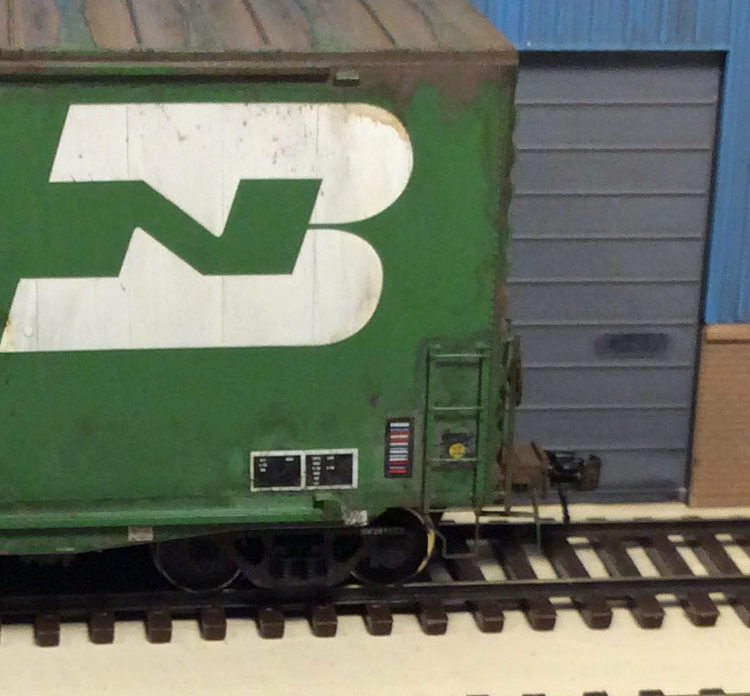 Tangent Scale Models has done some real solids for us BN and BN predecessor modelers of late. 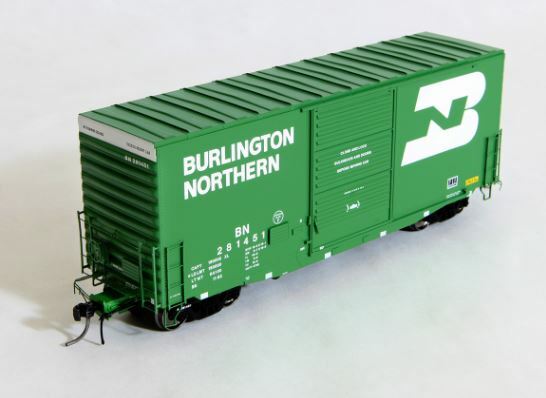 After recently releasing the 4740 covered hopper in Great Northern and Northern Pacific, Tangent then added Burlington Northern, Northern Pacific and another Burlington paint scheme to their incredible Hy-cube model. All three of these cars are outstanding. There was just one hitch for me personally, I model 1981 and the BN model offered was for 1982. One obvious spotting feature is the white hy-cube band across the top of the end. Other differences included different lube plates, no ACI tag and no yellow dot. All of which would have been removed or revised in the 1982 re-paint. 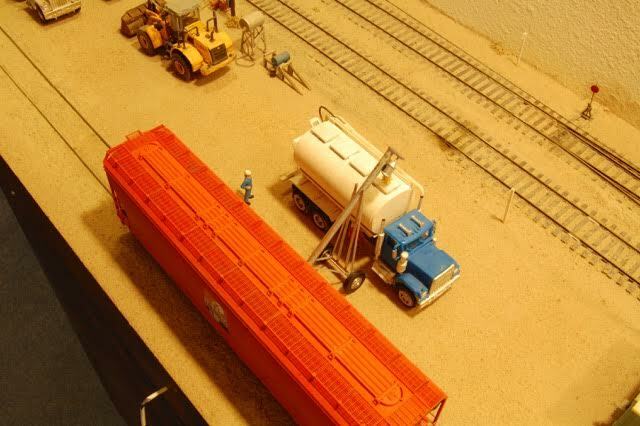 Above is a late 1970s shot of the type of scheme I wanted for my 1981 era Rails West layout. The yellow dot has yet to be applied and the ACI tag has been removed. Online sources show better the likely 1981 appearance of my car. Click below for the examples I used on my model. I didn’t seek to perfectly capture all the 1981 appropriate details, but I sought to change the ones that would have the most impact. My car is not perfect but close. Above, I had to remove the yellow sign and the more modern lube plates. I then, with decals, added a yellow wheel inspection dot, ACI tag and a new lube plate. Next, I painted over the white end panels. This had the most impact and gave the car a nice pre-1982 feel. 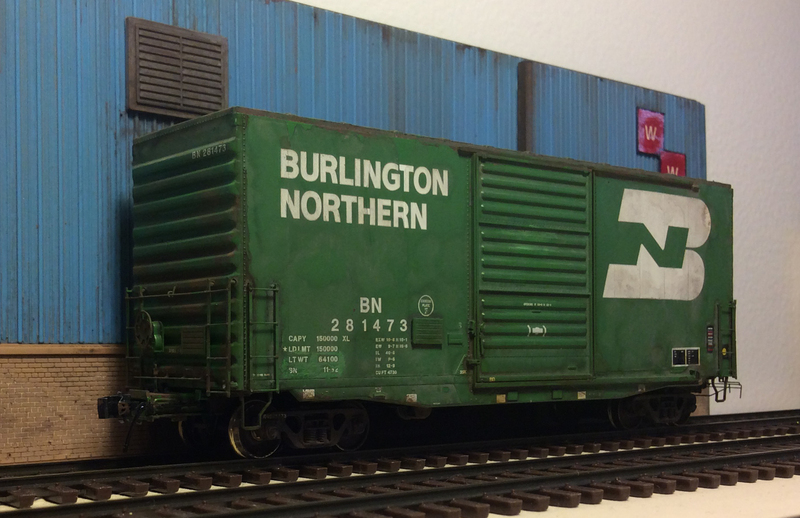 After the addition of scale wheels and some weathering, I have a nice stand-in for a BN hy-cube car to bring appliances to Western Warehousing in 1981. Merry Christmas, Happy Hanukkah, Seasons Greetings and Happy New Years from Rails West. When I was growing up, there was something special about seeing trains around Christmas. On Christmas eve, we would always go to my uncle’s house near a busy line and I’d always run to the tracks with my camera when I heard a diesel horn. I saw many a BN, ATSF, Rock trains run near his house. The line was untypically silent on Christmas eve, but I always dreamed of seeing a Christmas eve train at night. I never did, but I do recall seeing a few trains earlier in the day and that was just fine. Below is a picture I snapped in 1980 on the line near my uncle’s house. The connection between Christmas and railroads has always been special for me, and those recollections of chasing trains during the day on Christmas eve are still special to me! The connection is still there and I wanted to share a recent video from the Union Pacific to illustrate an ongoing connection between railroads and Christmas. All the best to you and yours over the holidays and into 2017! The above scene from 1974 above is pretty much what I want to replicate but on a little bigger, more organized scale. I expressed my need for some augers to B. Smith, one of my modeling mentors, and he rose to the challenge. Within a day or so, he sent me pictures. Pretty much scratch built. Pretty much exactly what I need. The wheels and axle came from the front axle of a truck. If I were to do it over I think the slightly smaller wheels from an automobile would be better as the wheels I used strike me as being big, but maybe this was all the boys at the Lazy W Ranch had to work with. The spacing of the wheels was left to the axle width of the truck axle just to simplify things. A length of “c” channel plastic was cut to fit between the wheels and would later be glued to the axle, but first the vertical angle iron supports were glued to the “c” channel. The distance between the vertical supports was the same as the diameter of the auger pipe. I used as thin plastic pieces as I could find in my scrap box but this makes the assembled structure delicate and care must be taken handling it. The auger pipe itself is left over piping from the Walther’s grain conveyor kit (Walthers Part # 933-3124). A short piece of piping is glued near the top to represent the down spout. Some cloth wire insulation from an ancient electronic device is used for the flexible extension of the downspout. 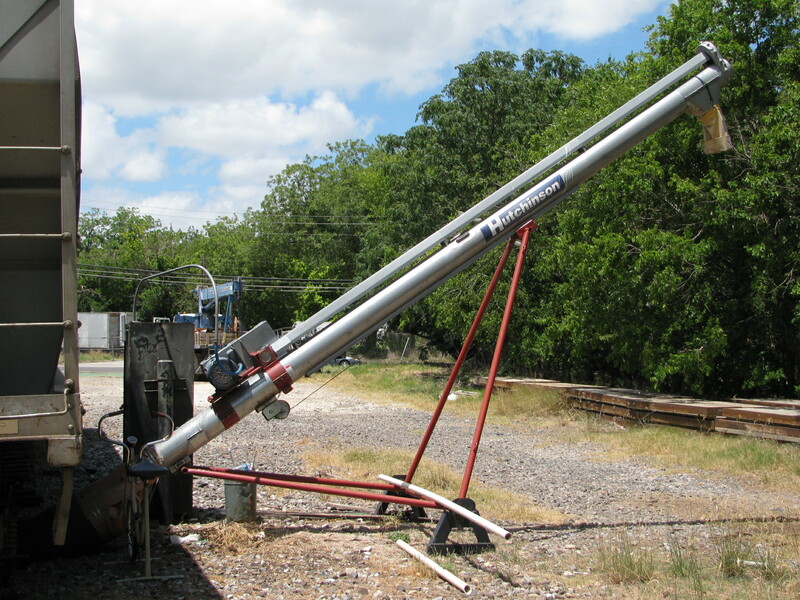 A rail car brake cylinder represents the electric motor driving the auger from the top. I fabricated the metal housing for the drive from the motor to the auger from a piece of plastic. Having used all the angle iron I had I switched to thin square rod material for the braces and to represent the conduit running up the auger pipe to the “electric motor”. Round plastic rod would work here too. The rusty box that is placed under the rail car outlet gate is some plastic piece from the scrap box. Getting the angle of the pipe and the pipe supports required using a cloths pin to hold the auger pipe at the angle I wanted it to be (using the truck I was loading as reference for the height of the top end of the auger), making sure there was enough clearance for the truck to get under the downspout and gluing the vertical supports (wheels and axle now included) to the auger tube. The shorter supports going to the lower end of the auger tube from the axle were added last. So this is the auger the hands at the Lazy W Ranch cobled together with the materials they had on hand. The poultry feed can now be augered into ranch trucks to be taken to the hungry turkeys. Ponderosa Feeds may take a little while. Plus I need to weather some cars and operate for a change. Here’s a “ridiculous amount of other stuff” post (see tag line above). When it comes to beer, I am inclusive. I have friends who will only drink particular microbrews. They wouldn’t be caught dead drinking a Coors or PBR in public. This post is to extol American beer in all forms–macrobrews and microbrews. What could be more American than drinking American beer? America has so many great brews now, that I never buy foreign beer any longer. No need. But I also don’t shy away from mass produced American beer. Somehow, it seems wholesome to sometimes buy beer made in American factories/breweries that employ hundreds of people and small microbreweries. If macrobrews were good enough for our fathers (and mothers), why not for us as well? These pictures reinforce that for me. What’s wrong with a simpler time when we all didn’t feel the need to have 3000 sq. foot homes, home theaters and BMWs? If I want an ice cold PBR, Coors, Schlitz or Miller, I am going to have one. To hell with what others think. I won’t be intimidated or shamed from having a good macrobrew sometimes. Don’t folks in these pictures look pretty classy? I even wish I could add an ice cold Falstaff to that list above! I miss drinking Falstaff as a very young man. It was one of my dad’s beers. Maybe one day…Pabst is thinking about re-launching Falstaff. Be great if it tasted like the Falstaff I knew in the late 1970s (I was really too young to drink). It was a bit distinctive. When you look at these old advertisements, it just seems right to have a good, regular beer sometimes. I don’t want all our big breweries to go away. I get a kick out of driving by them and smelling that distinctive smell. 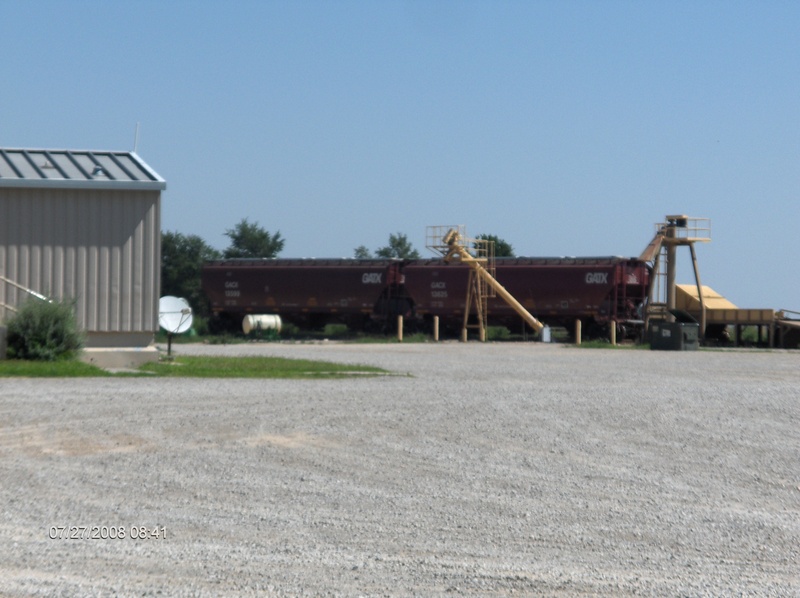 To all my railfan readers, I also enjoy seeing a string or two of covered hoppers bringing in ingredients. 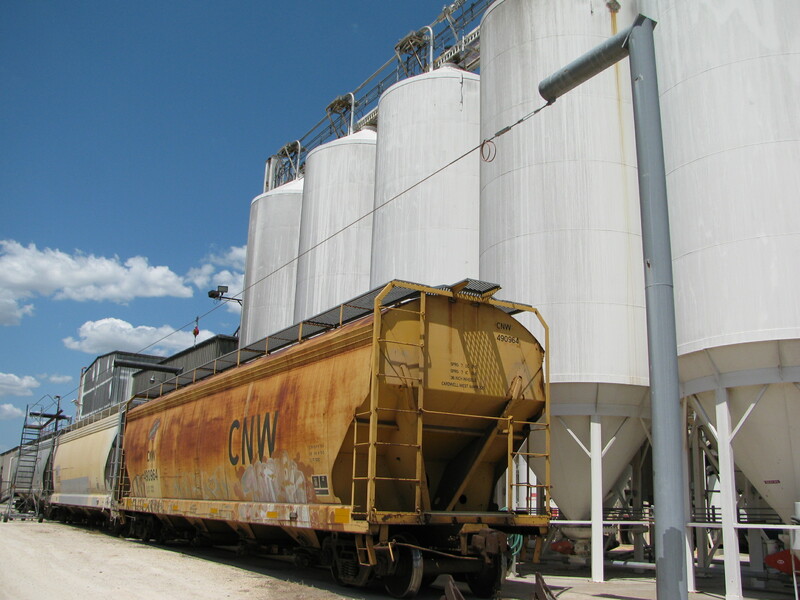 Up until a decade ago or so, most beer was hauled by boxcar. 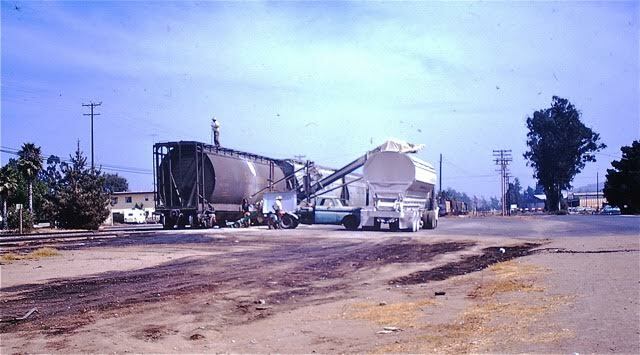 Much is still hauled by rail, but often containerized (not quite the same as driving by a distributor and seeing a few boxcars being unloaded.). Oh well, what do I know? I still mow my own yard, love to watch football and baseball, barbeque on the weekends with wood and charcoal, think Rockford Files was a great show, and think factories should stay in America (not intended as a political statement at all, just a fact). I guess I’m old fashioned. Again, I still enjoy a great IPA from time to time and have written a couple of posts about one of my favorite IPAs–Ballantines. I just discovered a great one a few weeks ago in Washington State–Backwood Brewing’s Logyard IPA. Sadly, I can’t get it where I live. I’m getting thirsty. I think I may have an ice cold Schlitz in the fridge. Here’s to a few good American macrobrews! 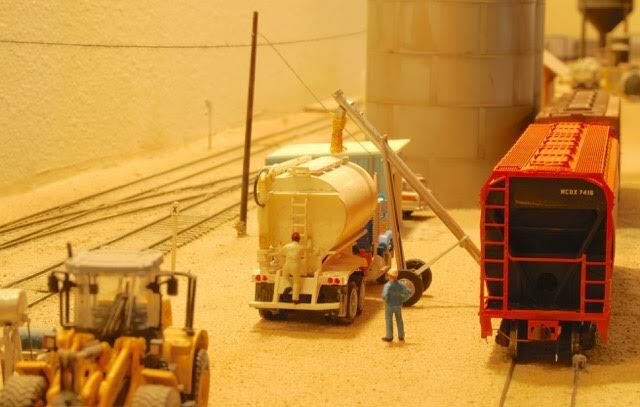 I like augers for model railroads. 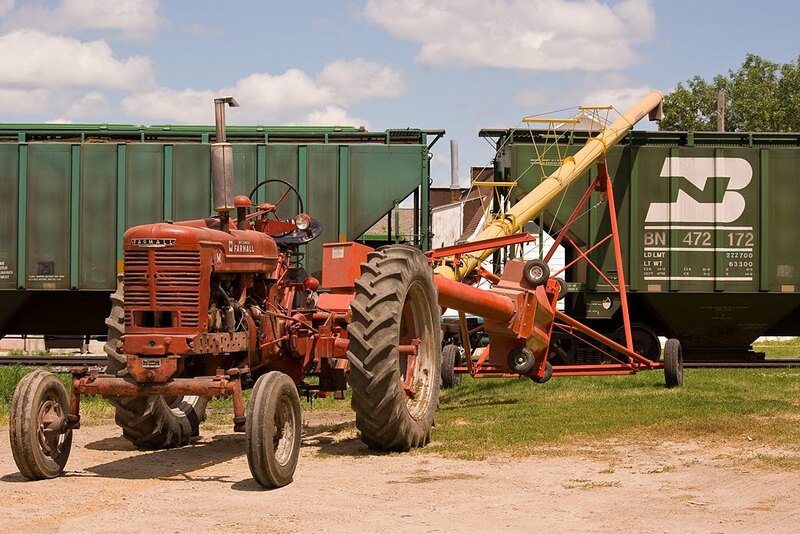 They can credibly give you a reason to spot a lot of hoppers without the need for a large structure. Further, it mimics what goes on in the real world. 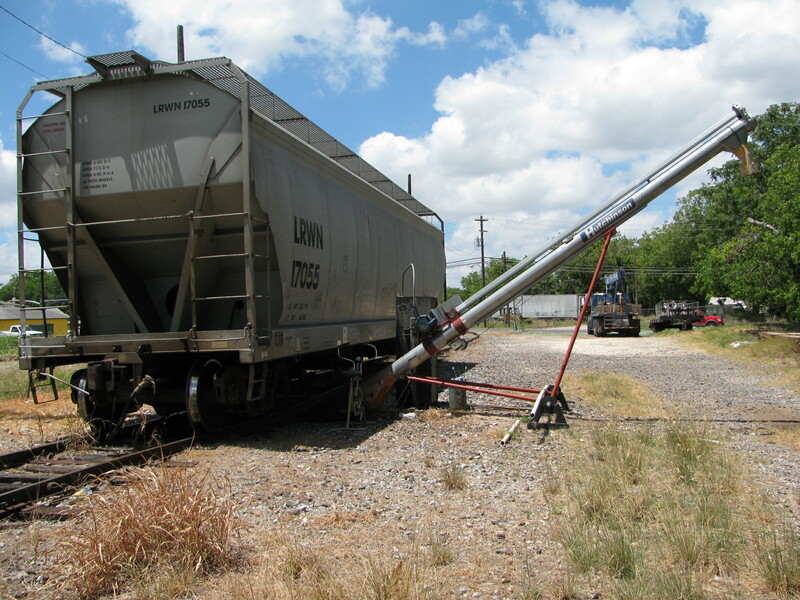 Here are a couple of shots of an auger operation in I took in San Marcos, TX in 2010. This one was immobile. I don’t know how the customer moved the hopper to line up the other bays. 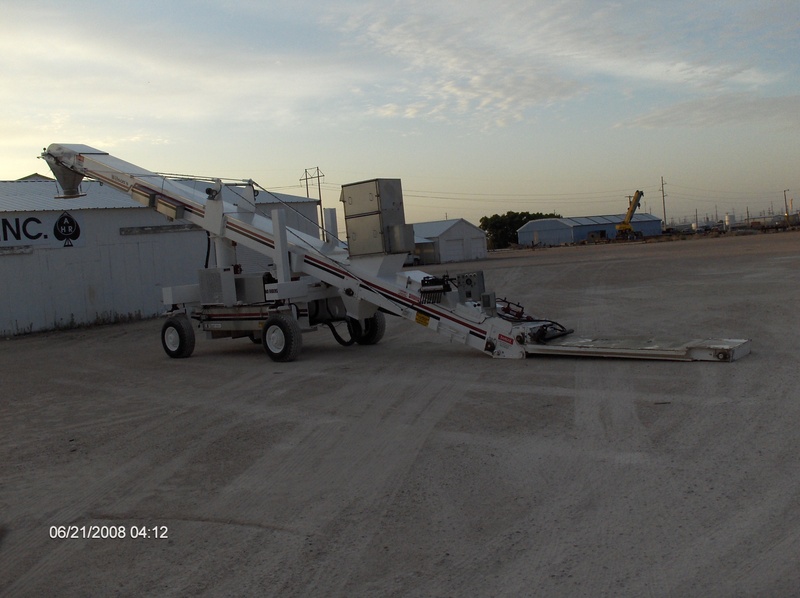 Above is another stationary auger I photoed in 2008 near Carlsbad, NM. There are numerous operations like this in SE NM to support large dairy operations. 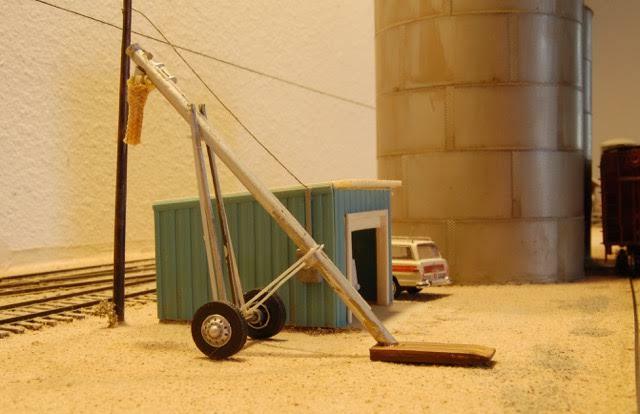 Here’s a mobile auger designed to load cars. I like how basic it is. I also like the Farmall! 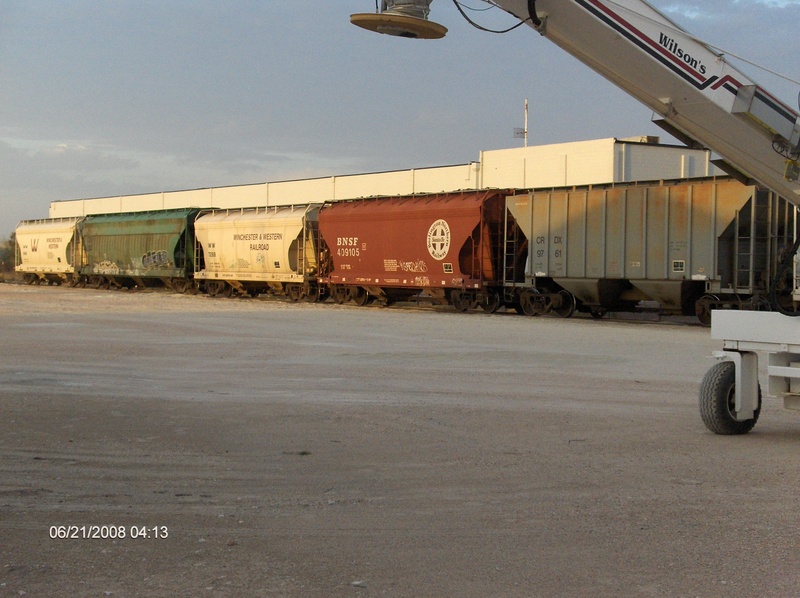 Here’s a more modern version I encountered one warm morning in Odessa, TX in 2008. 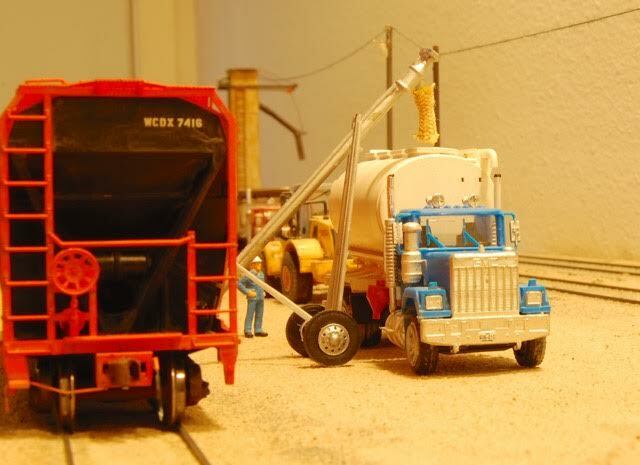 It looked to be unloading frac sand. It was parked near this string of cars. 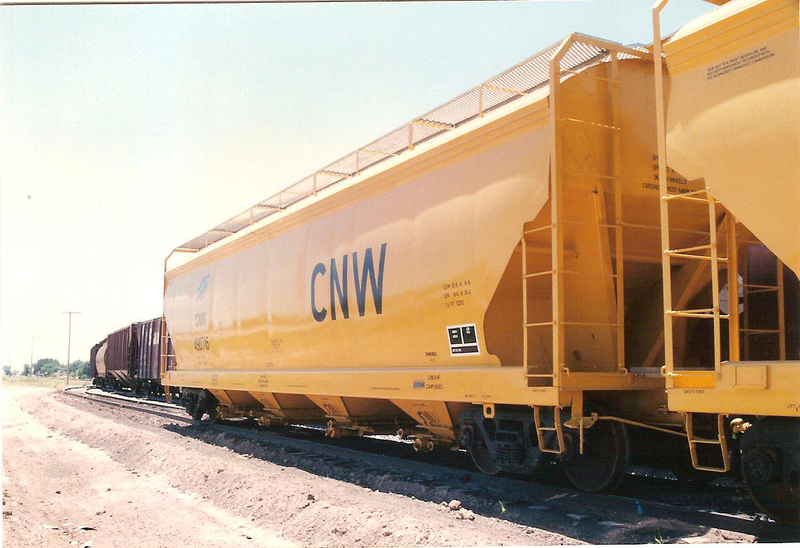 I noted strings of mostly CNW and ATSF covered hoppers coming into Roswell in the early 1990s to bring in cattle feeds for area dairies. 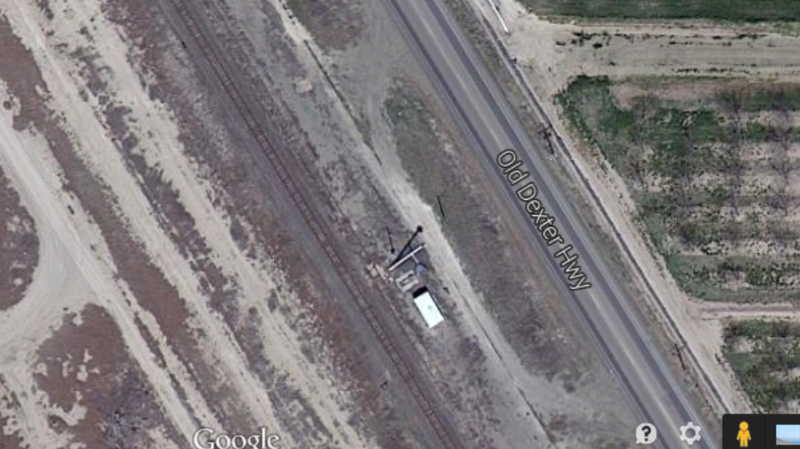 Here below (just south of town) is the spot I noted these cars captured recently off Google Earth. 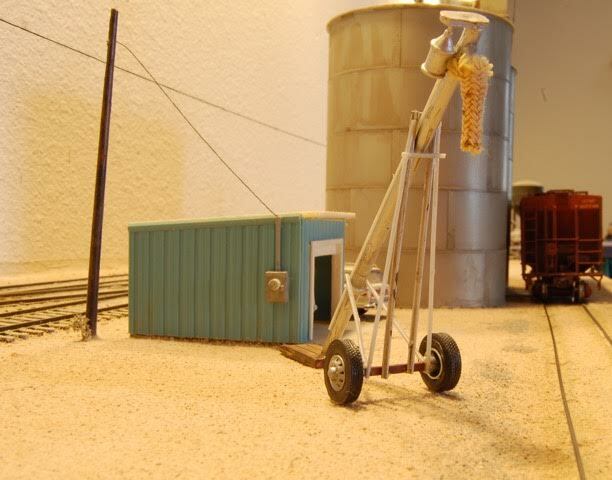 I have decided that my next customer to be built for my Rails West layout, Ponderosa Feeds, will be a couple of augers and trailers and a small office. I will need augers. Sadly, there is no good commercial kit of which I am aware. I posed a challenge to B. Smith as to how I could build some augers, and he came through with flying colors. Part II will share his scratch-built auger he just completed.